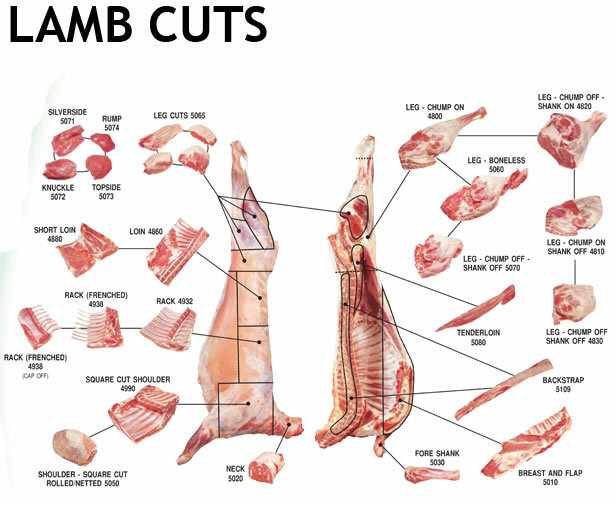 I know lamb shanks are not trendy any more. It used to feature on every restaurant’s menu a couple of years ago until its place in the spotlight was taken by pork belly. Lately the new trendy meat dish is pulled “anything”! 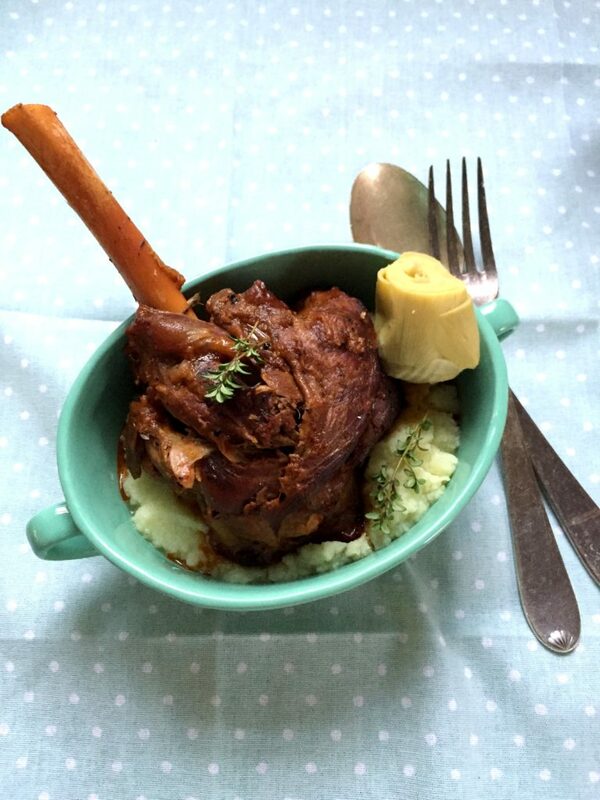 Although is no longer very popular, lamb shanks are definitely a delicious cut of meat. It is still a show stopper and my family and friends are still impressed with it! 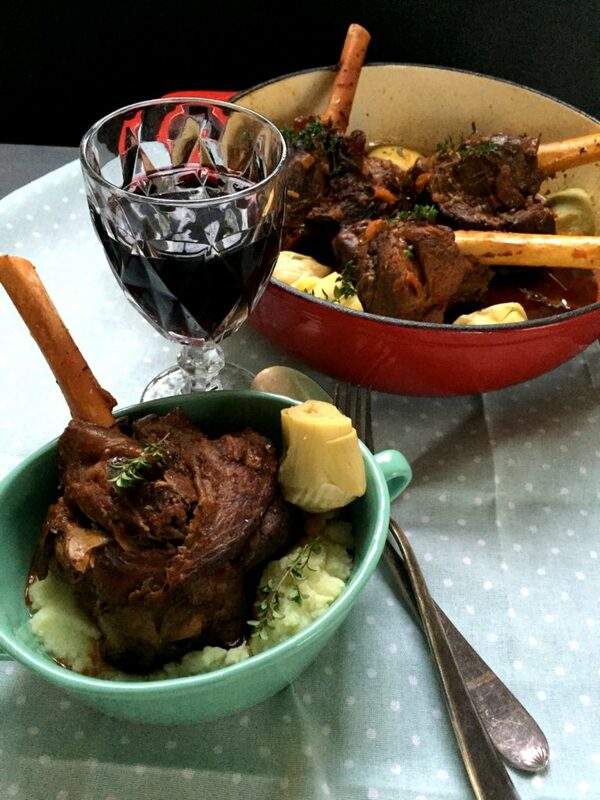 Combining lamb shanks with artichokes are just divine. I know anchovies are very expensive but try not to omit them since it provides wonderful flavour to the lamb. This dish takes some time to cook; at least three hours in the oven. The meat must be soft and tender and must fall of the bone. 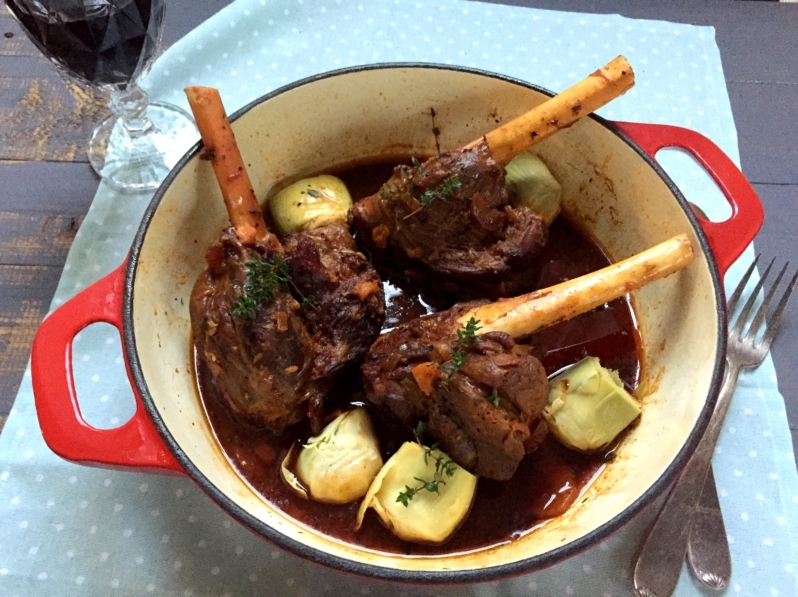 When it is cooked correctly lamb shanks are wonderful but it can be tough and awful if not cooked long enough. I served it with cauliflower mash but it will go equally well with potato mash, rice or any vegetables. 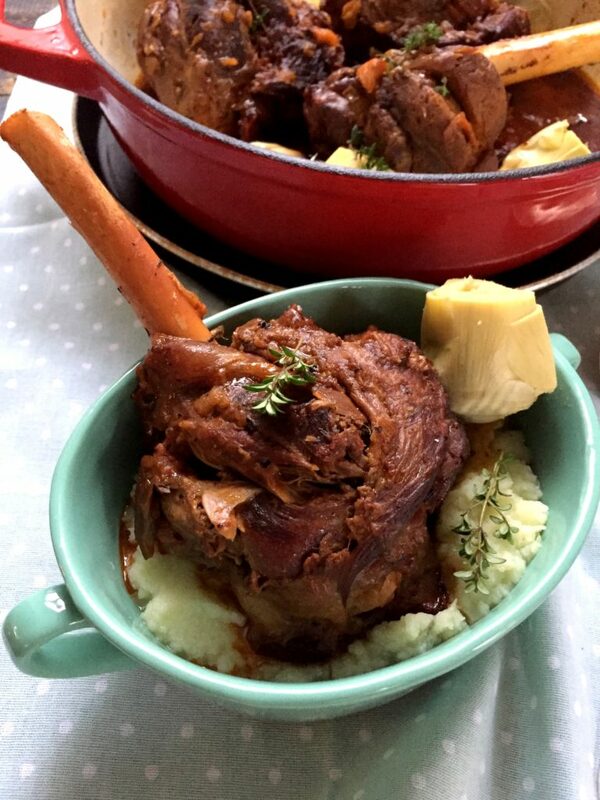 You can use the same recipe to cook leg of lamb if preferred. This is a great dish to cook over a weekend, especially for Sunday lunch. Pre-heat the oven to 160⁰C. Make incisions into the lamb shanks and insert anchovies and garlic. 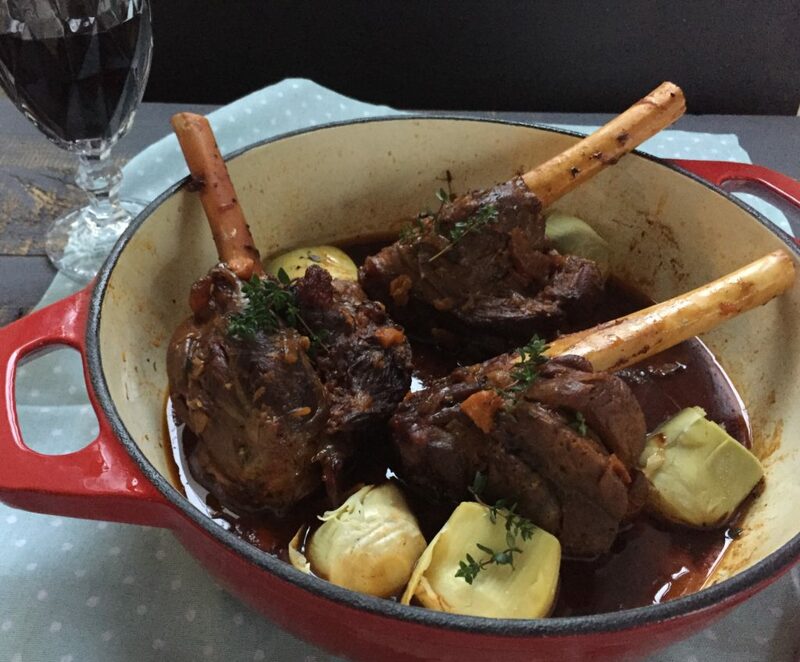 Heat the olive oil in a heavy based casserole dish that is also oven-proof and brown the shanks all over. Add the sliced onions and brown. Remove from the heat and add the carrots, chicken stock, tomato paste, thyme and bay leaves. Season with salt and pepper. Cook in the pre-heated oven for 90 minutes. Turn the shanks and cook for another 90 minutes. Add the artichokes and return to the oven for 15 minutes. Serve with mashed cauliflower or potatoes. It is a pleasure! Thanks for the kind words!